The official site of ☻☺♀Junrey Ramos♀☺☻. JUNREY RAMOS WEEBLY AND PHOTOSHOP CREATIONS. Granted: CERTIFICATE OF PROFICIENCY on the graduate level with the field of specialization in Public Administration and had completed the academic requirements in partial fulfillment towards the degree of Master in Education @ Cebu Technological University in 2010-2012. Thesis Proposal submitted at CTU Argao Campus: "Photo Editing Competencies of Second Year Students of Dalaguete Selected Secondary Schools, Dalaguete, Cebu." ICT Skills: Website Building and WiFi Boosting; LAN and Wireless Connections Networking; PC Hardware and Software Trouble Shootings; Webpage or HTML Source Coding; Turbo C Programming; Photoshop and Logo Designing; Modem/Router Configuration and Internet Parental Controlling, House Wiring, OS and Office Installing and Upgrading, Disks Partitioning, Driver Installing, PC Directory and Printer sharing, Poster and card printing. Encoding, Designing and Programming, using MS Office Applications such as MS Word, MS Excel, MS Power Point, MS Publisher, MS Access and other application programs like Corel Draw 11 and C++ Programming. The Suzuki Hayabusa (or GSX1300R) is a sport bike motorcycle made bySuzuki since 1999. It immediately won acclaim as the world's fastest production motorcycle, with a top speed of 188 to 194 miles per hour (303 to 312 km/h). Hayabusa (隼?) is Japanese for "peregrine falcon", a bird that often serves as a metaphor for speed due to its vertical hunting dive, or stoop, speed of 180 to 202 miles per hour (290 to 325 km/h), the fastest of any bird. In particular, the choice of name was made because the peregrine falcon preys onblackbirds, which reflected the intent of the original Hayabusa to unseat theHonda CBR1100XX Super Blackbird as the world's fastest production motorcycle. Eventually, the Hayabusa managed to surpass the Super Blackbird by at least a full 10 miles per hour (16 km/h). The media-reported value for the speed agreement in miles per hour was consistently 186 mph, while in kilometers per hour it varied from 299 to 303 km/h, which is typical given unit conversion rounding errors. This figure may also be affected by a number of external factors, as can the power and torque values. There are far, far too many famous dragons in this world and beyond for any one site to hope to list them all - but give me time and I'll try! On these pages you will find famous dragons from myth, legend and literature listed by name. I'll be expanding these lists as rapidly as possible and eventually hope to give each one its own page with detailed information. Where I've been able to do this, the list will include a link to more detailed information. Not all of these are strictly speaking dragons. I've also included facts - well, myths and legends - about a number of famous serpents, wyrms etc that might be of interest to dracophiles. Car names can be split into two different categories. One is the actually name for the car like Hyundai, Ford and Chevy. Along with this goes sedan and SUV. More times than not you, do not see larger men in small compact cars. Compact does not go with large so do not even think to try it. You may however see a petite woman driving a F350. In this scenario, she would look cute and sort of scary at the same time. On the other side of the car names is whether to give your car a male name or a female name. Thanks to the movie “Gone In 60 Seconds” the most beautiful and powerful cars all had female names. Think of Betsy or Natasha. You can also name your car for its color like Old Blue, Red Boy and Black Attack. Some people even name their cars micro machines when they drive Hummers, ha ha. Crashes-a-lot is a good name for that car that has seen one too many bumpers and turbo for that car that has no get up and go. a plane is a flat, two-dimensional surface. A plane is the two dimensional analogue of a point (zero-dimensions), a line(one-dimension) and a solid (three-dimensions). Planes can arise as subspaces of some higher dimensional space, as with the walls of a room, or they may enjoy an independent existence in their own right, as in the setting of Euclidean geometry. When working exclusively in two-dimensional Euclidean space, the definite article is used, so, the plane refers to the whole space. Many fundamental tasks in mathematics, geometry, trigonometry, graph theory and graphing are performed in a two-dimensional space, or in other words, in the plane. The tiger (Panthera tigris) is the largest cat species, reaching a total body length of up to 3.3 metres (11 ft) and weighing up to 306 kg (670 lb). It is the third largest land carnivore (behind only the Polar bear and the Brown bear). Its most recognizable feature is a pattern of dark vertical stripes on reddish-orange fur with lighter underside. It has exceptionally stout teeth, and the canines are the longest among living felids with a crown height of as much as 74.5 mm (2.93 in) or even 90 mm (3.5 in). In zoos, tigers have lived for 20 to 26 years, which also seems to be their longevity in the wild. They are territorial and generally solitary but socialanimals, often requiring large contiguous areas of habitat that support their prey requirements. This, coupled with the fact that they are indigenous to some of the more densely populated places on Earth, has caused significant conflicts with humans. The lion (Panthera leo) is one of the four big cats in the genus Panthera and a member of the family Felidae. With some males exceeding 250 kg (550 lb) in weight, it is the second-largest living cat after the tiger. Wild lions currently exist in sub-Saharan Africa and in Asia (where an endangered remnant population resides in Gir Forest National Park inIndia) while other types of lions have disappeared from North Africa and Southwest Asia in historic times. Until the late Pleistocene, about 10,000 years ago, the lion was the most widespread large land mammal after humans. They were found in most of Africa, across Eurasia from western Europe to India, and in the Americas from the Yukon to Peru. The lion is a vulnerable species, having seen a major population decline of 30–50% over the past two decades[date missing] in its African range. Lion populations are untenable outside designated reserves and national parks. Although the cause of the decline is not fully understood, habitat loss and conflicts with humans are currently the greatest causes of concern. Within Africa, the West African lion population is particularly endangered.Lions live for 10–14 years in the wild, while in captivity they can live longer than 20 years. Birds (class Aves) are feathered, winged, bipedal, endothermic (warm-blooded), egg-laying,vertebrate animals. With around 10,000 living species, they are the most speciose class oftetrapod vertebrates. All present species belong to the subclass Neornithes, and inhabit ecosystems across the globe, from the Arctic to the Antarctic. Extant birds range in size from the 5 cm (2 in) Bee Hummingbird to the 2.75 m (9 ft) Ostrich. The fossil record indicates that birds emerged within theropod dinosaurs during the Jurassic period, around 160 million years (Ma) ago. Paleontologists regard birds as the only clade of dinosaurs to have survived theCretaceous–Paleogene extinction event 65.5 Ma (million years) ago. 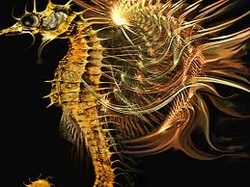 Seahorse is the title given to 54 species of marine fish in the genus Hippocampus. "Hippocampus" comes from the Ancient Greek hippos meaning "horse" and kampos meaning "sea monster". Snakes are elongate, legless, carnivorous reptiles of the suborder Serpentes that can be distinguished from legless lizards by their lack of eyelids and external ears. Like all squamates, snakes are ectothermic, amniote vertebrates covered in overlapping scales. 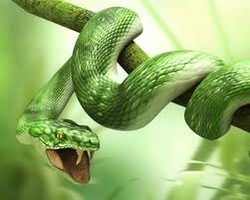 Many species of snakes have skulls with many more joints than their lizard ancestors, enabling them to swallow prey much larger than their heads with their highly mobile jaws. To accommodate their narrow bodies, snakes' paired organs (such as kidneys) appear one in front of the other instead of side by side, and most have only one functional lung. Some species retain a pelvic girdle with a pair of vestigial claws on either side of the cloaca. 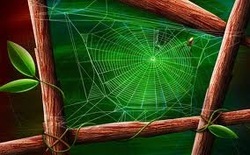 Spiders (order Araneae) are air-breathing arthropods that have eight legs and chelicerae with fangs that inject venom. They are the largest order of arachnids and rank seventh in total species diversity among all other groups of organisms. Spiders are found worldwide on every continent except forAntarctica, and have become established in nearly every habitat with the exception of air and sea colonization. As of 2008, at least 43,678 spider species, and 109 families have been recorded bytaxonomists; however, there has been confusion within the scientific community as to how all these families should be classified, as evidenced by the over 20 different classifications that have been proposed since 1900. Anatomically, spiders differ from other arthropods in that the usual body segments are fused into twotagmata, the cephalothorax and abdomen, and joined by a small, cylindrical pedicel. Unlike insects, spiders do not have antennae. In all except the most primitive group, the Mesothelae, spiders have the most centralized nervous systems of all arthropods, as all their ganglia are fused into one mass in the cephalothorax. Unlike most arthropods, spiders have no extensor muscles in their limbs and instead extend them by hydraulic pressure.